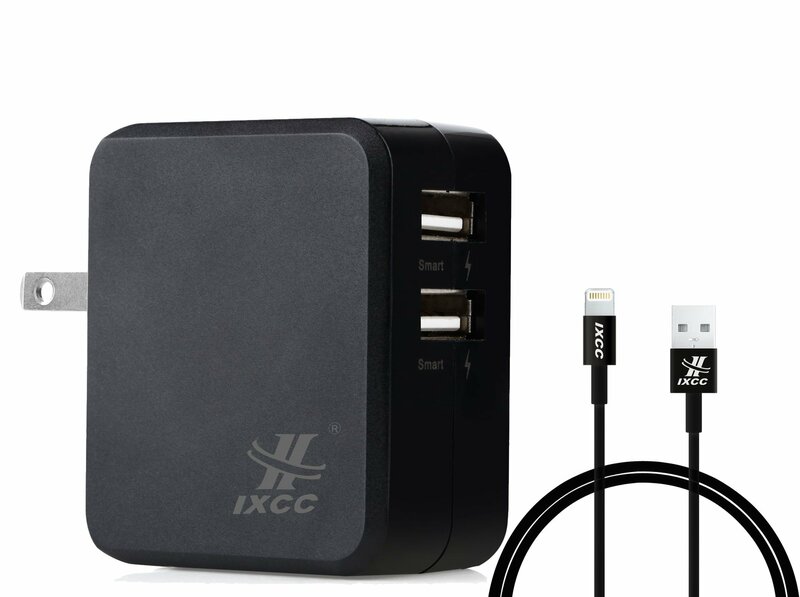 Home › Electronics › Ul Certified Ixcc Dual Usb 3.4 Amp (17 Watt) Smart Ac Travel Wall Charger Bun..
Ul Certified Ixcc Dual Usb 3.4 Amp (17 Watt) Smart Ac Travel Wall Charger Bun..
UL Listed: this charger reaches the rigorous safety standards of Underwriters Laboratories, designed with over-heated, over-current, over-charging safety protections ensures superior performance and reliability. Smart Port: double USB Smart charging ports, automatically detects your devices to deliver optimum charging speed. 3.4A / 17W Wall Plug Adapter Outlet provides plenty of power to fast charge 2 devices (tablet, cell phone, camera...) at the same time. Small and light enough to carry out and use as a replacement at home, office or during travel. What you get: 1x 17 dual-port wall charger, 1x Apple MFi Certified 3ft Lightning Cable. iXCC industry leading 2-year warranty.